What's better than chocolate, ice cream, caramel, and cookie bits? We'll wait why you try and come up with an answer that's better than this delicious ice cream candy bar! 1. 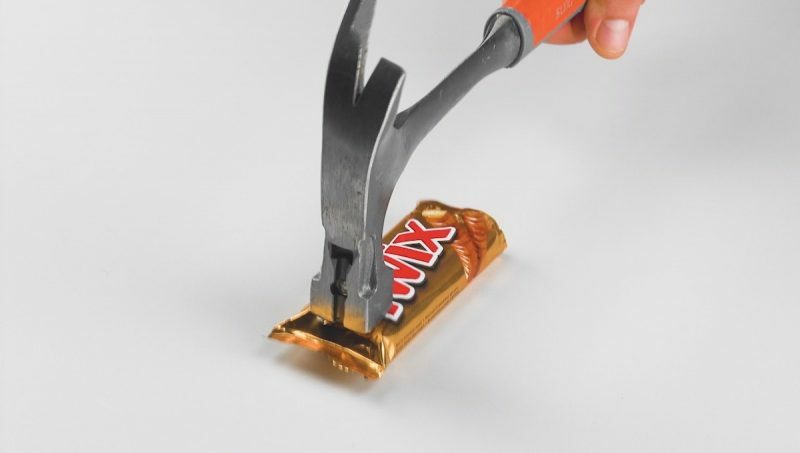 Smash the unopened Twix packages until the candy bars are completely crushed. 2. 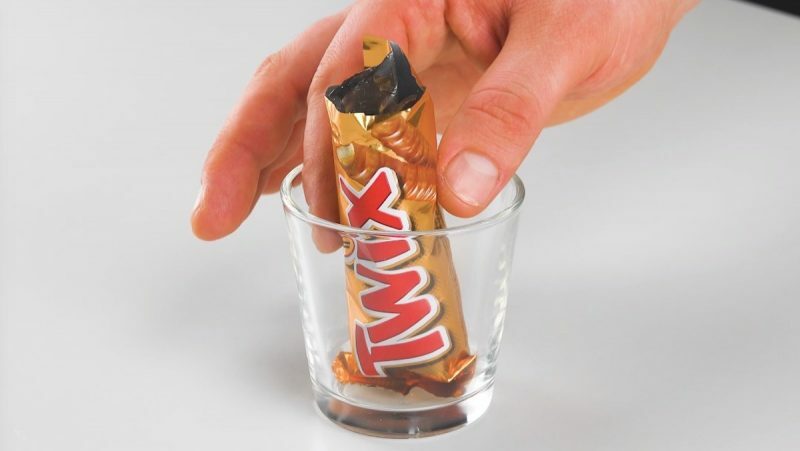 Place the package upright in a glass and open the side facing up. 3. 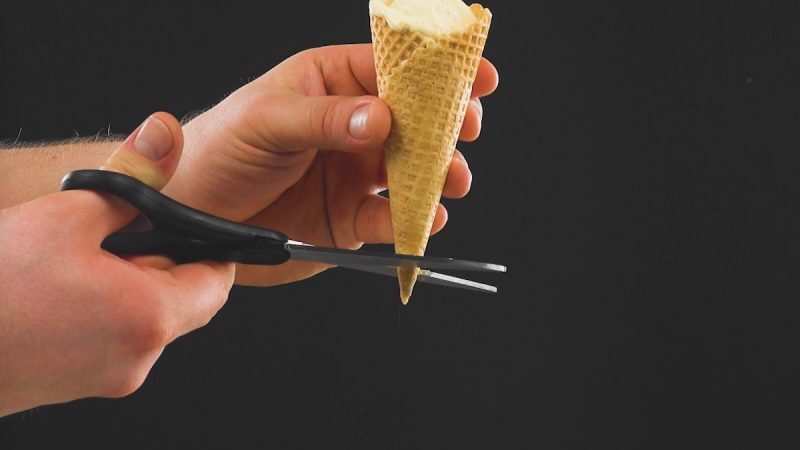 Put a scoop of vanilla ice cream in an ice cream cone, cut off the end of the waffle cone, and let the ice cream melt into the Twix wrapper. 4. 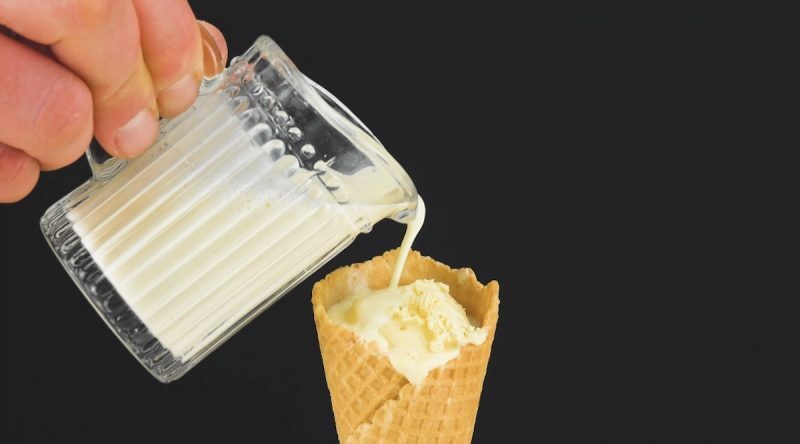 Pour hot cream over the vanilla ice cream and let it melt out the bottom of the cone with the ice cream. 5. 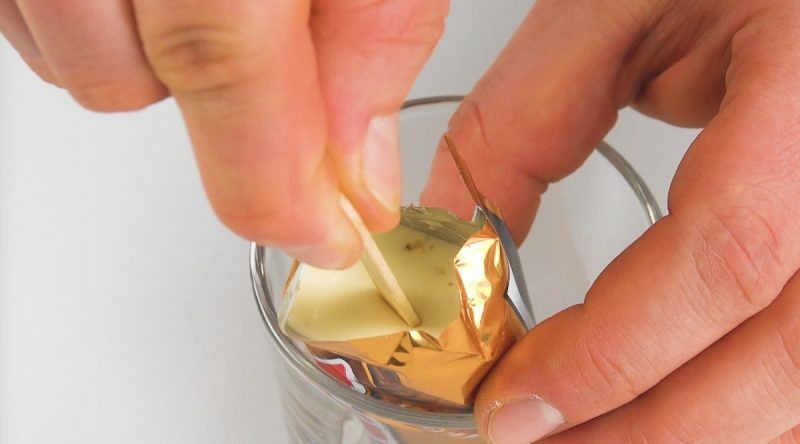 Stick a popsicle stick in the middle of the Twix wrapper and freeze for at least 2 hours. 6. 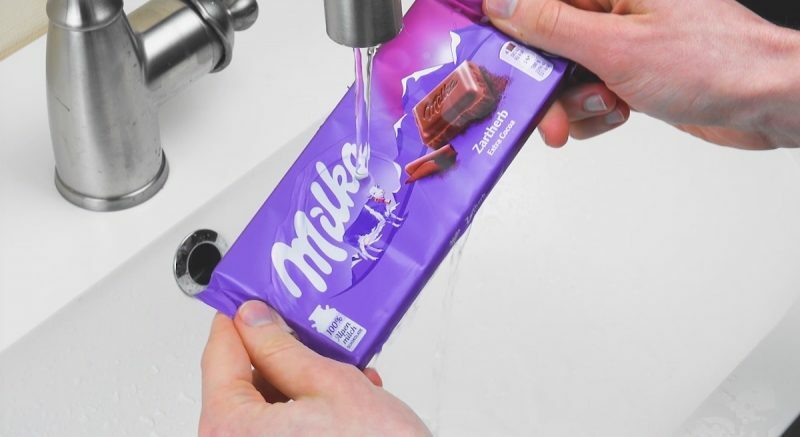 Run a chocolate bar under warm water until it melts. Pour the melted chocolate into a glass and stir until smooth. 7. 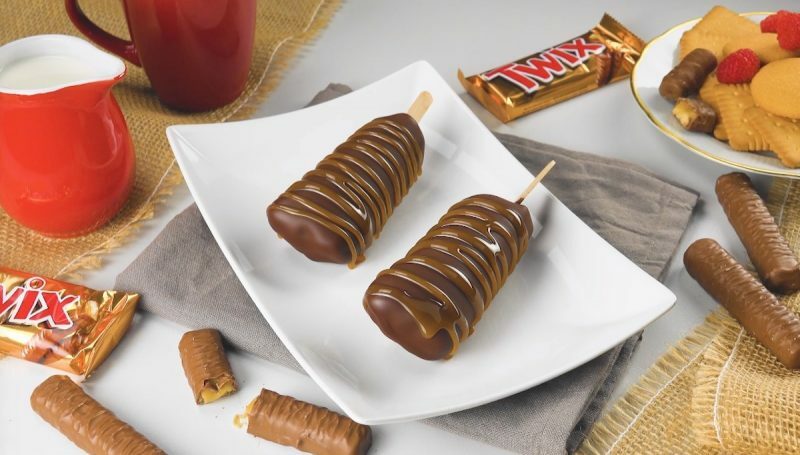 Take the frozen Twix bar out of the wrapper and dip it into the melted chocolate. Place the ice cream bar on parchment paper and drizzle caramel sauce on top. Life doesn't get much better than this! Try experimenting with other candy bars to see which flavor you like best – just think of all the possibilities! You can find the recipe for the Giant Twix featured in the bonus video here.